‘America’s Got Talent’ is switching things up in season 14! 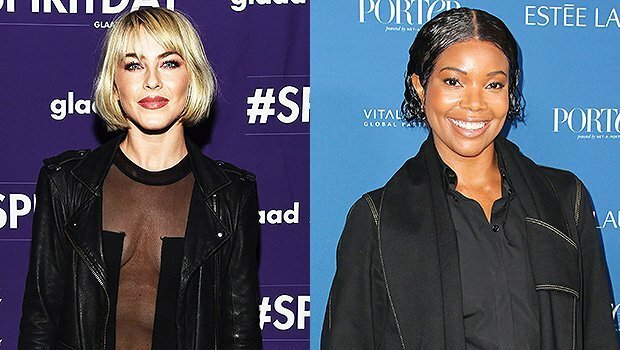 Julianne Hough and Gabrielle Union have joined as new judges alongside Simon Cowell and Howie Mandel. What does this mean for Heidi Klum and Mel B?! Julianne Hough, 30, and Gabrielle Union, 46, are the two new judges of America’s Got Talent season 14. They’ll be replacing Heidi Klum, 45, and Mel B, 43, who will not be returning for season 14. Simon Cowell, 59, and Howie Mandel, 63, will both be returning as judges. Terry Crews, 50, will remain the host of the show, officially taking over AGT hosting duties from Tyra Banks, 45. Terry is currently the host of AGT: The Champions. Heidi and Mel B have been judges on the show since season 8. Heidi is currently working on her new Amazon show with Tim Gunn, 65, after leaving Project Runway. Mel B is set to go on tour with the Spice Girls starting in March 2019. Julianne is no stranger to judging. She was a judge on Dancing With the Stars for multiple seasons after being one of the professional dancers. Gabrielle is best known for her roles in Being Mary Jane and Bring It On. In addition to judging AGT, she will also be starring alongside Jessica Alba, 37, in the Bad Boys TV spinoff, L.A.’s Finest. Auditions for the upcoming season of America’s Got Talent are still underway. Season 14 will premiere later this year.